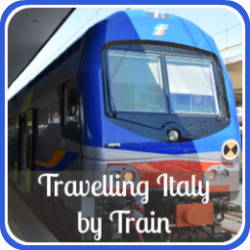 Visiting Rome in the winter and want to know what the weather will be like? Here you'll find all the information you need: climate, temperature, what there is to do at this time of year and what you should pack to be ready - whatever the weather. And yes - it does sometimes snow! It may be wet, it may even sometimes be grey, but Rome is wonderful at any time of year - and the winter is no exception. In fact, we actively plan to visit every December and January. It's a magical time as the city gears up for Christmas, celebrates New Year, and then winds down quietly, waiting for Spring. It isn't as crowded as during the summer, restaurant prices aren't hiked and all the monuments are open. So if you're planning a trip at this time of year, you've chosen well. The weather can be unpredictable, but all you need to do is plan well, and bring the right clothes. When do Romans consider winter starts? Our Italian friends begin donning coats and scarves from early September when temperatures start to fall very slightly. But the real winter weather is from mid November until Spring starts to break through in April. The temperature in the run-up to Christmas is usually still quite mild, rarely falling below freezing. January tends to be the coldest month with temperatures averaging from 1°C (34°F) to a high of 12°C (54°F). Until recently, snow was virtually unheard of, but it seems to be becoming more common. In 2010 there was snow after the weather in the city had been snow-free for twenty-one years. In 2012 and 2018 it was heavy enough to keep the Colosseum closed for several weeks in February and March. 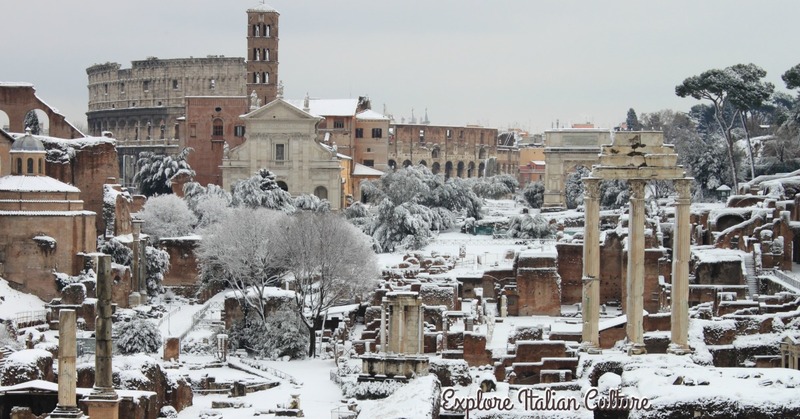 The Forum in Rome covered in snow. Winter, 2012. Oh yes, it certainly rains! 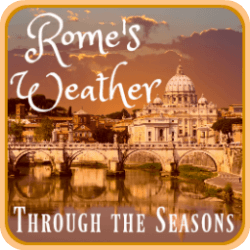 Winter weather in Rome, and in central and southern Italy generally, is usually quite mild, but it can be very wet. The wettest months are November and December but it can carry on raining right through until March. 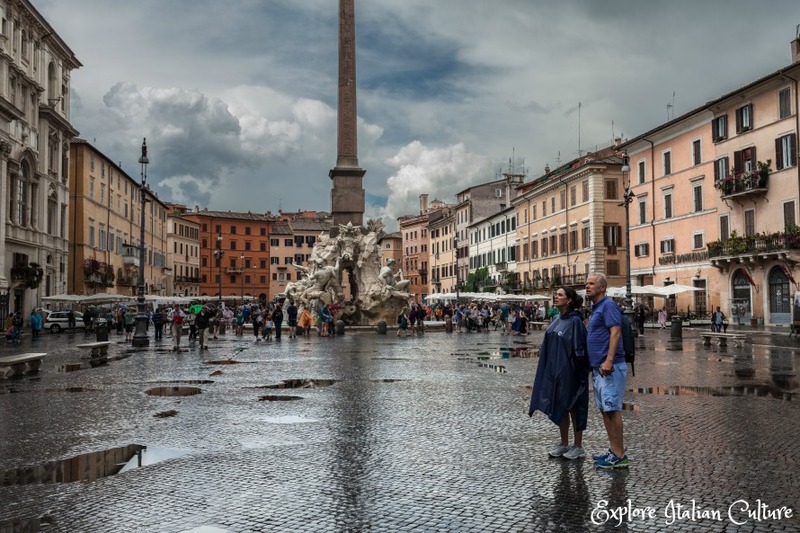 Piazza Navona, Rome - still beautiful on a rainy day. The River Tiber has a history of flooding during the winter and very early Spring months, but there's no need to worry. The city itself is rarely affected - you'll see the high embankment walls running alongside the river. Built in the 19th Century to stop the city from flooding, they contain any rise in water level. The river Tiber may flood, but the embankment walls contain the water. We saw this stylish pooch on the Spanish Steps in December. It's common sense, really. The weather may be mild, but may not. If temperatures drop, the winds can be icy, so a warm coat and a couple of sweaters are in order. Italians (both men and women) love nothing better than a nice scarf - you'll see them worn from September onwards - so you'll fit right in if you pack one. 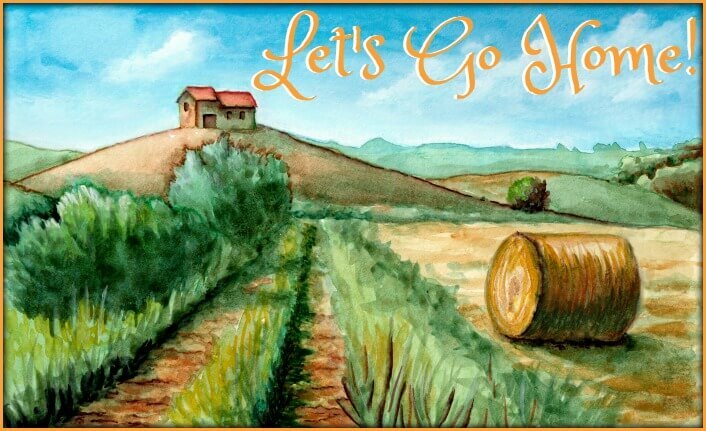 But the weather can also be mild, so bring some lighter clothes. And of course hotels are always warm, so you won't be needing those winter clothes once you're inside. 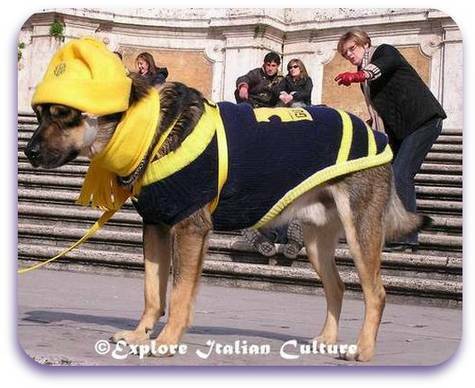 And bear in mind that, even in winter, Italians are very stylish. If you're going to bring boots, make them fashion boots - leave the Wellies at home! The chance of rain means you need to pack a small umbrella per person, and a raincoat. If you forget, you'll always be able to find them from street sellers - they specialise in those clear rainy-day ponchos. Not the most stylish, but they do the job. This is Cath's go-to umbrella for Rome - stylish and strong, but light and easily packed. 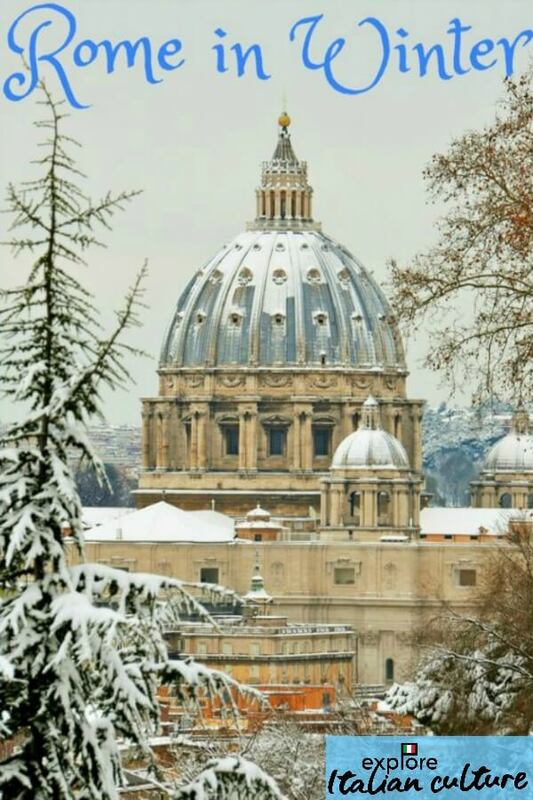 What's good about the winter weather in Rome? This was taken an hour after a heavy rainfall. Piazza Navona, December. Rain often doesn't last for long, skies can suddenly turn bright blue, the air is really fresh and colours seem more vivid. Even though Christmas in the city is a big draw for pilgrims, there aren't as many tourists about in winter. That makes it an excellent time to see the sights without having to fight your way through the queues of summer. Imagine - the Trevi Fountain all to yourself! Well, perhaps not quite, but still much less crowded. Although the weather's a bit chilly to sit outside, most cafes and restaurants with outdoor space warm them with extended terrace covers and outdoor patio heaters. So even the eating 'al fresco' season can apply to winter! 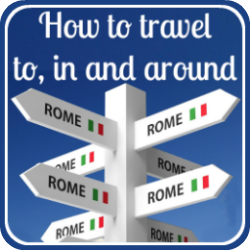 Things to do in Rome in the winter. In November and December the city is gearing up for Christmas, which is one of the biggest times in its calendar. 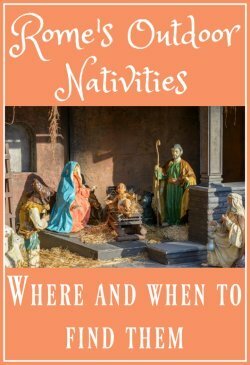 Churches, shops and districts are getting their nativity scenes ready, street markets sell brightly coloured winter flowers and delicious marzipan treats, and families are stocking up with food and decorations for the holiday period. Colourful Christmas decorations for sale on the market in Piazza Navona, December. One of the nicest things to do during this pre-Christmas period is just wander round the streets, find the markets - the Piazza Navona and Campo de'Fiori are wonderful - and enjoy the sights and smells. 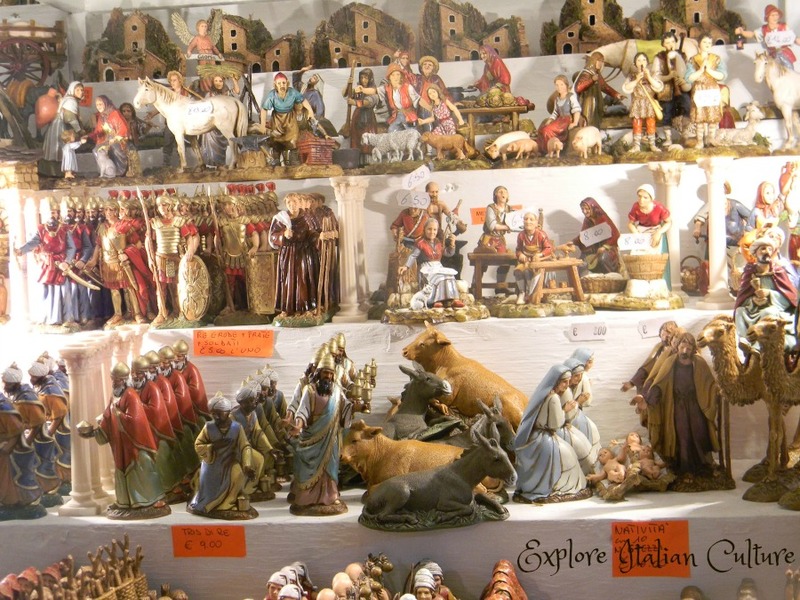 Have a look particularly at the nativity figures for sale on the stalls at the market in Piazza Navona. Not just the stable scene - Italian families create entire nativity villages. As well as the usual characters, they'll feature Italian figures (sometimes even including politicians!) and, regularly, at least one pizza oven! Presepi figures for sale, Piazza Navona market, December. St Peter's Square is a good place to be at this time of year and, if you happen to be nearby on Christmas Day, you may be lucky enough to see the Pope's "Urbi et Orbi" message, and be present at his blessing. St Peter's Square, December - the Christmas tree and the nativity scenes are well worth a visit. 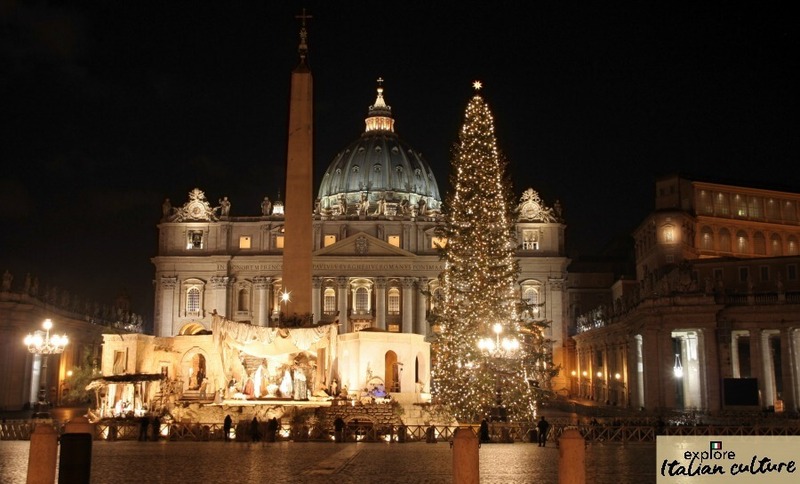 St Peter's Basilica is open throughout the Christmas and New Year period. You'll find most of the museums, shops and some restaurants closed on Christmas Day and New Year's Day, but open the rest of the time. Opening hours may be shorter on Christmas Eve - it varies from place to place. Check websites before you go. 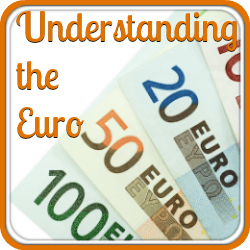 The exceptions are banks, and the Vatican museums, including the Sistine Chapel. 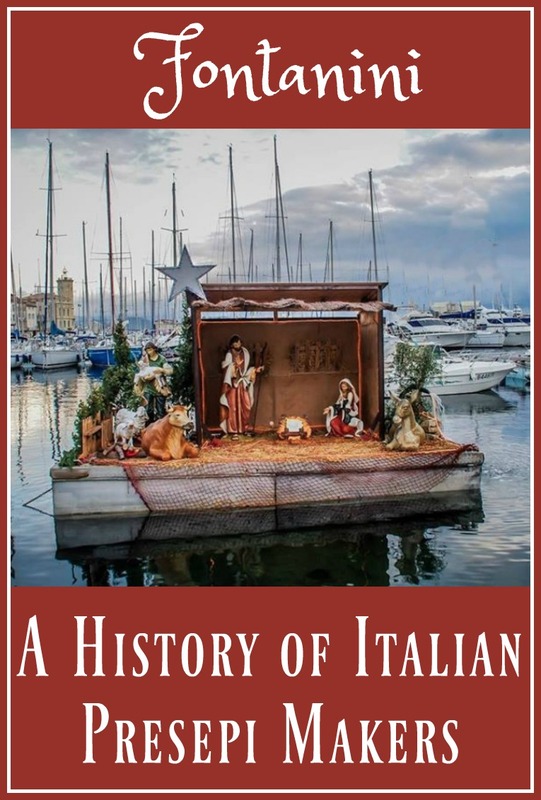 They are also closed on December 26th, the feast day of Santo Stefano (Saint Stephen) and January 6th, the Epiphany, both of which are holidays in Italy. 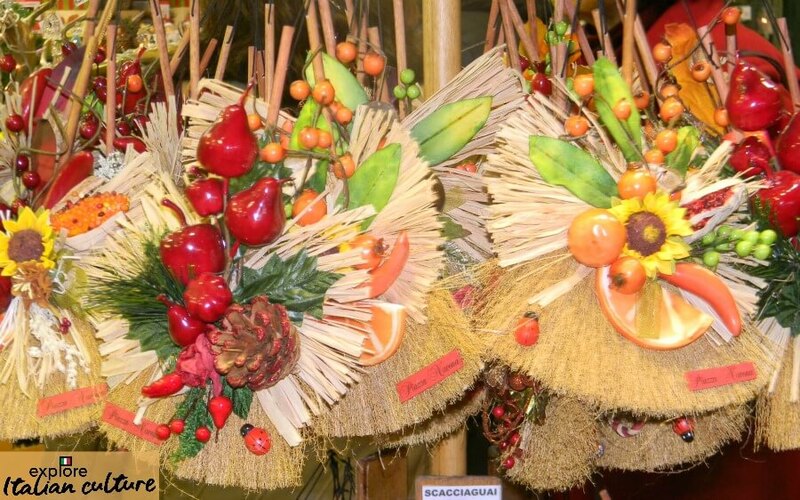 Winter sales in Rome start the first week in January. The date varies from shop to shop. 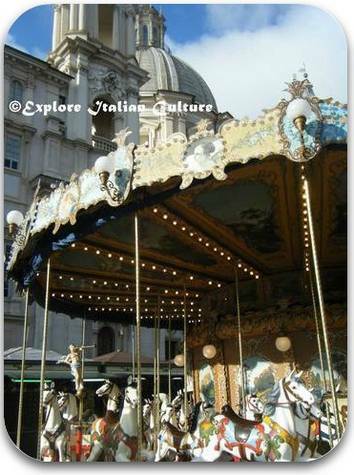 Rome's weather in winter makes Christmas shopping a treat! The Via Condotti in December. 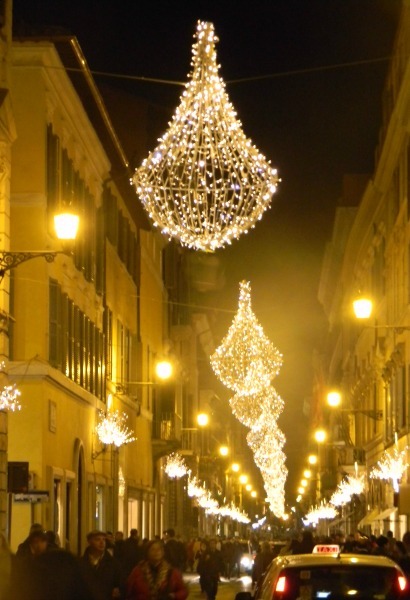 Be sure to wander along the Via Condotti and look at the stylish Christmas decorations. You'll be stunned. Christmas in Italy is nowhere near as commercialised as in other parts of the world - it's still very much a religious festival - and the decor tends to be low-key and elegant. 'Presepi' or nativity scenes are a massive part of Italian Christmas culture - so much so that we've given them their own page. On New Year's Eve, party-goers do what New Year revellers the world over do. In Rome the party takes place in the Piazza del Popolo - but expect a more muted event than you might be used to in London or Times Square. The post-Christmas sales in the shops begin on the first Friday of January and not before. February sees days becoming longer and by March, the weather is beginning to warm up again. 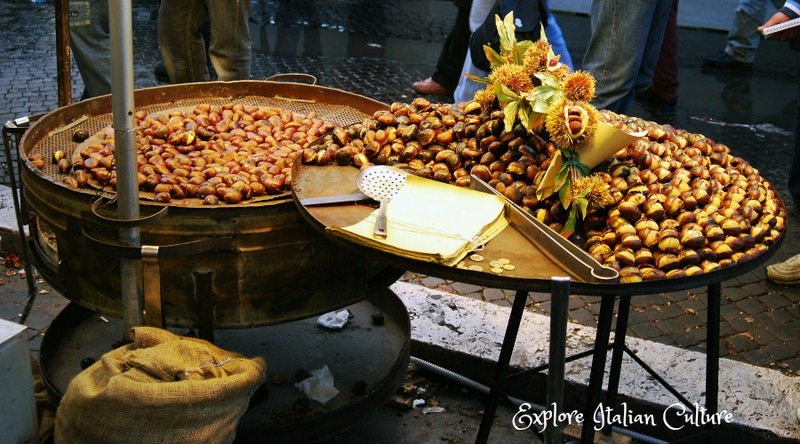 And one of the most enjoyable things to do in Rome during the whole of the winter period is enjoy hot roasted chestnuts, sold on street corners and at the open air markets. Not only are they delicious - the hot chestnuts warm your hands on a cold winter's day! Chestnut sellers are always a popular sight in Rome during the winter. Travelling soon and need to know exactly what to pack? 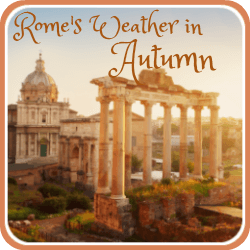 If you're planning a trip to Rome and want to know what the weather is like on average throughout the year, click this button to find out. Sometimes a more general check on the weather just isn't enough. So if you're travelling within the next few days, this link will let you take a look at the weather today, for absolutely up-to-date conditions. You'll also find links there to a handy one and two week forecast. 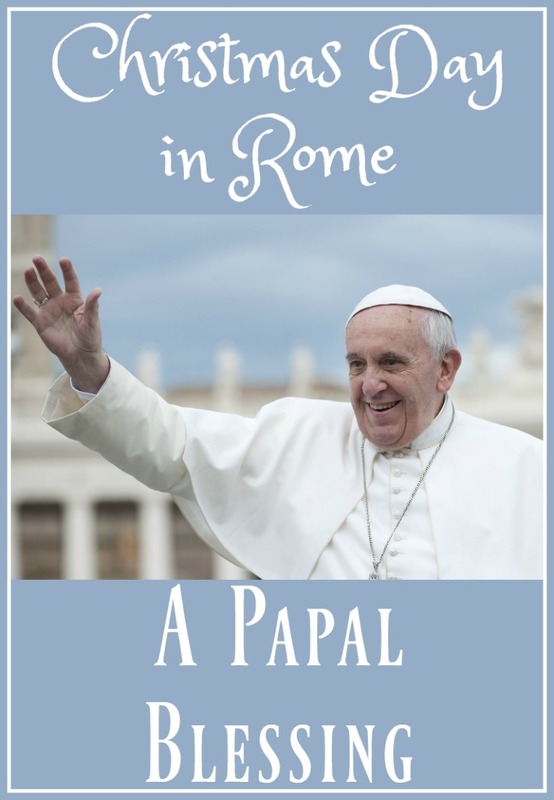 Planning a trip to Rome at Christmas? 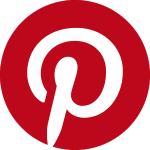 You may find these pages interesting. Just click on the pic!